This Morning viewers were left in tears today when presenter Ruth Langsford met a former colleague who has brain damage after having an allergic reaction. Three years ago, Amy May Shead, who is a former producer of the show, went on holiday with her friends to Budapest. 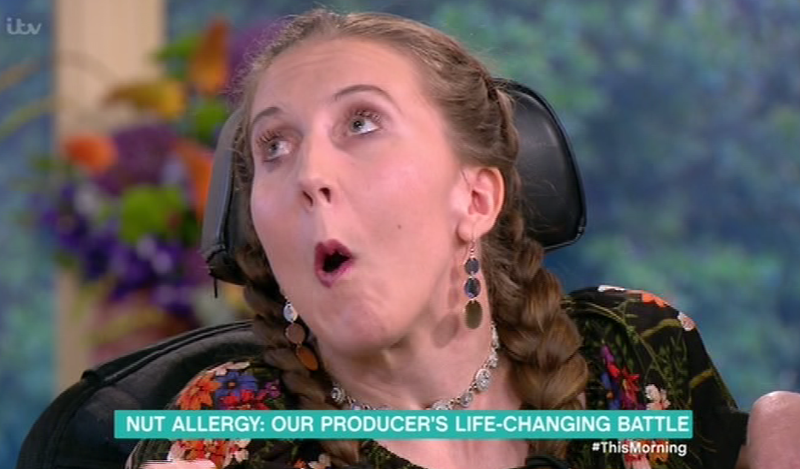 Although Amy told the restaurant about her nut allergy and even showed them her allergy card, after one bite of a chicken dish that she was told would be okay, she suffered a catastrophic anaphylactic reaction. Despite using two EpiPens, Amy was left in a coma fighting for her life and even ‘died for six minutes’. Amy’s parents, Sue and Roger, flew to Budapest as soon as they heard the news and were told by hospital staff that they did not expect their daughter to survive the week. Amy continues to live with the devastating effects today, suffering from brain damage, unable to speak and is confined to a wheelchair. Her parents discussed the incident and spoke about why people should be more aware of how dangerous nut allergies can be. They are currently campaigning for nuts to be banned on planes as even the particles that go into the air could cause someone with an allergy to have a severe reaction. You are so brave for coming on here and doing this for us. We all love to see you. We miss you here. 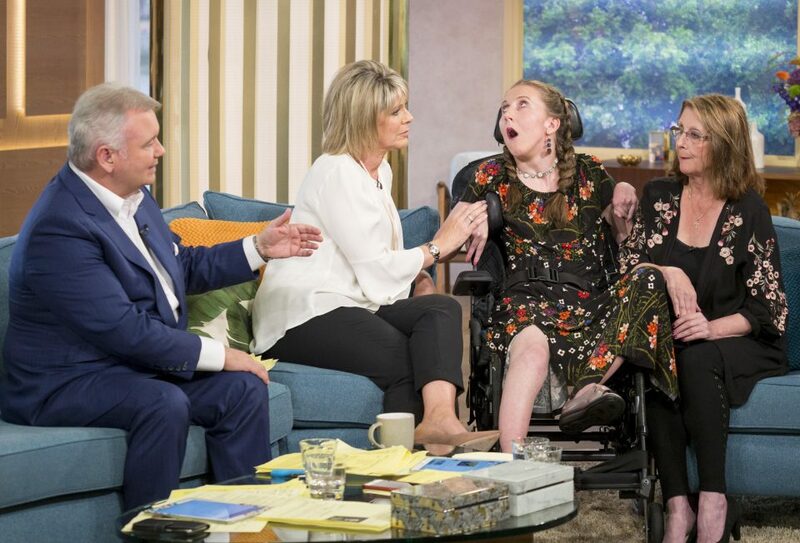 Viewers took to social media to show Amy and her parents support and to praise Ruth for how well she dealt with the emotional interview on This Morning. I'm in tears watching the lovely Amy on @thismorning. 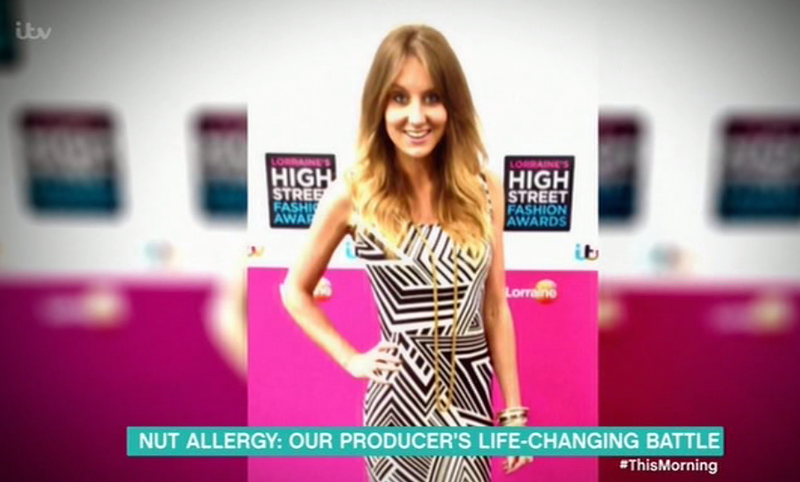 #NutAllergy is such an important thing to highlight – thank you! ? Amy’s parents run The Amy May Trust which aims to raise awareness that nut allergies are serious, and raises funds to support Amy’s treatments.